Is dry farming the way forward for the world’s wine industry? Climate change is affecting the way wine is made right now. It’s no longer a vague future threat, but more of a ticking time bomb. And as the wine industry uses vast amounts of water, experts are looking for new ways to keep crops growing. Some vineyards have already taken on the challenge and have instigated dry farming. While the wine industry has been making moves to change the way wine is made, most sustainable solutions focus on things like biodiversity and renewable energy. However, freshwater irrigation remains the biggest problem facing the wine industry as we move into a new world of adapting to extreme weather. 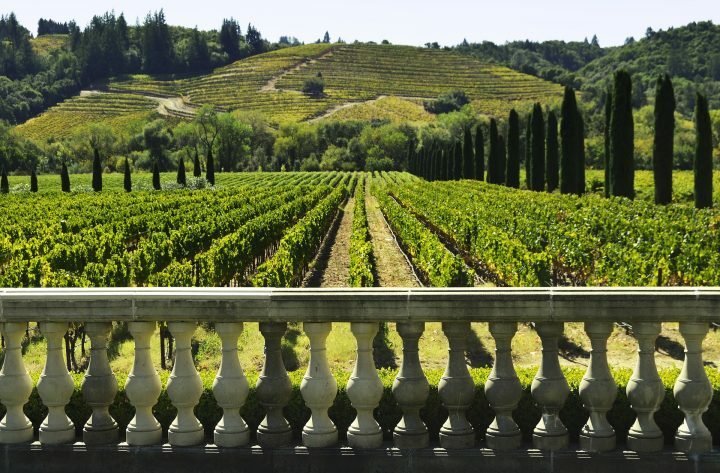 What impact does the wine industry have on the global water supply? A recent piece of research reveals that more than a third of consumers take the time to look for companies and brands that are concerned with environmental and ethical impact. Within the millennial generation, three-quarters of consumers are happy to spend more on products that are truly sustainable. However, the use of water irrigation in the wine industry has failed to pick up many headlines. Around 83% of wine regions in the New World are irrigated using fresh water. In the Old World, it drops to 10%. How much water does it take to make wine? According to the Water Footprint Network, it takes 5 litres of water to produce a 125ml glass of wine. This is without irrigation and is based on the water used in the winery alone. If we add in irrigation, it rises to 110 litres of water per glass of wine in a normal climate, and 240 litres in regions suffering from drought. Of course, the freshwater used to make wine differs a lot depending on the region. The global wine industry is worth more than £229 billion, and wine grapes are the most valuable fruit crop in existence. Some scientists say that the land suitable for wine making will have diminished by up to three-quarters by 2050. All of which gives plenty of impetus to implement solutions such as dry farming. Dry farming refers to a method of soil preparation that makes the most of the moisture from winter rainfall, which is used to sustain the vines as they grow. It guides root systems, so they grow deep enough to find water and micro-nutrients themselves. Irrigated vines have root systems that stay very close to the surface, so that they are vulnerable. There’s a lot of work involved in making dry farming work, but it does make tastier, sweeter grapes. It also allows the soil and vine to live a longer, more stable life. It is inevitable that at some point in the future, it won’t be possible to irrigate vines in some regions. This means managing water effectively should be the most important factor in vineyards moving towards true sustainability.